Stuck up while looking for a hassle-free and fast method to do alcohol testing? 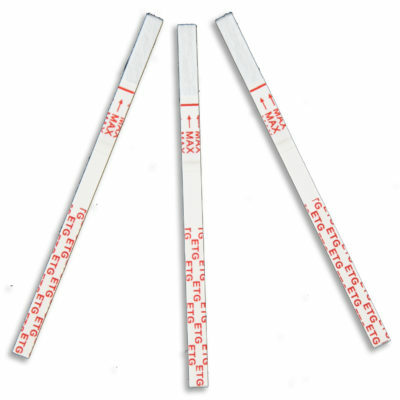 Our ETG Alcohol test strips can smoothly determine the presence of alcohol with human urine. What more? These are available for a meagre price of $1.85 per strip within a 50 strip pack. Sign up now to buy our renowned ETG Alcohol test strips. The Ethyl Glucuronide (EtG) are actually traces of alcohol in the body after being exposed to ethanol, such as alcoholic drinks. 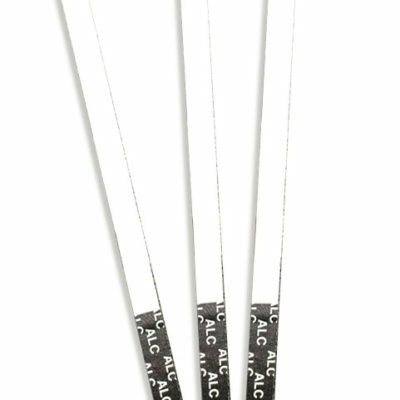 Trust us for our ETG Alcohol test strips are extremely accurate and potent to easily determine the presence of alcohol traces for 2-3 days subsequent to the last dose. Our ETG test strips are curated to accentuate alcohol consumption. Our precise threshold levels circumvent the false positive results that may occur due to extrinsic environmental exposure to alcohol-based products such as- specific syrups, mouthwashes, hygiene products or even products family. Our ETG alcohol test strips are tremendously useful for situations where complete abstinence is mandatory such as a professional workplace like corporate industries, probation conditions or during pregnancy. Accurately, our ETG test strips offer alcohol evaluation that can be utilized in circumstances where zero tolerance is needed, i.e the alcohol consumption is completely prohibited. How To Use ETG Alcohol Test Strips? Remove the ETG alcohol test strip from the sealed pouch or simply remove the canister. After removal of the seal, use the ETG Alcohol test strips as soon as possible. For best results, use the strips within an hour. Hold the test strip in the urine specimen for about 10-15 minutes. Always hold the strip from the end to deter contamination. Avoid any contact with the strip membrane. After the completion of a test, remove the test strip and place it on a non-absorbent flat surface. Start the timer and wait for the color band(s) to appear. Read the results at 5 minutes. Do not exceed the time by 10 minutes to interpret the results. Internal procedural controls are included in the test. If a colored band develops in the control region(C), it indicates an internal positive procedural control and authenticates sufficient specimen volume and correct technique. External controls are not supplied with this kit. We recommend that both positive as well negative controls must be tested in a good toxicology laboratory to confirm the test procedure and correct performance. Positive: A single colored band appears in the control region(C). No colored band appears in the test region. Negative: Two colored bands appear on the strip membrane. One band appears in the control region(C) and another in the test region(T). Invalid: Control band fails to appear. Results from any test which has not produced a control band at the specified read time must be discarded. Read the instructions carefully and proceed with a new test. If the problems continue, stop using the kit immediately and contact your local distributor.